Work has brought us to Las Vegas a number of times in the past couple years, and we have found some nice places to escape the super sized hotels, casinos and shopping malls of the strip (though we do like the dancing fountains at the Bellagio). Some remnants of 'old vegas' can be found on Fremont Street, north of the main strip. There's an outdoor pedestrian mall you can wander and check out the lights of another time. Our favorite is The Golden Nugget Casino, built in the 1950's. For more history, you can find an archive of signage from bygone eras at the Neon Museum, known as the 'Bone Yard' . Historically, the signs were salvaged and used for parts, but now the museum houses and restores them. For more history, drive the 30 miles to Hoover Dam, and cross the new bridge over the Colorado River , which connects Arizona & Nevada and runs alongside the Dam (you used to cross on top of the dam). 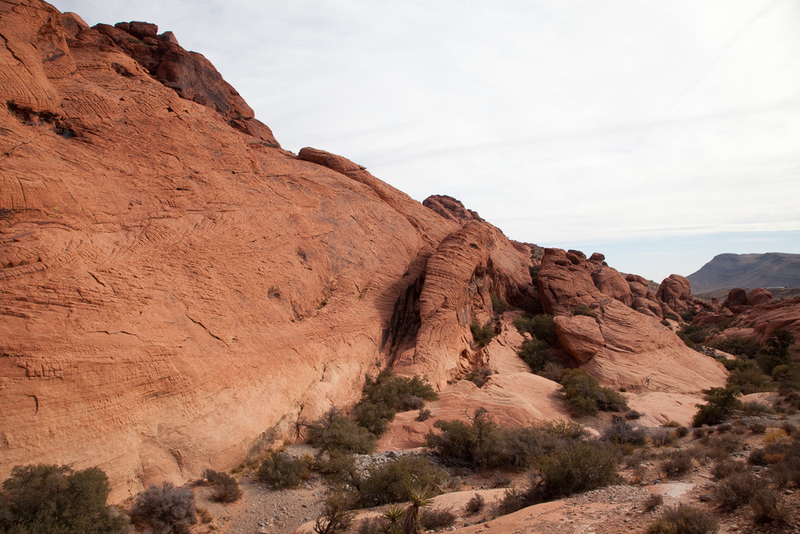 For a bit of nature, 17 miles from the strip, you can find yourself in the beautiful canyons of Red Rocks National Park.